With rain, snow, and freezing temperatures during the coldest months of the year, winter may seem like the worst time to move to another home. While a residential move during the wintertime poses different challenges when compared to moving during the other seasons, winter relocation offers a number of surprising benefits as well—from lower rates from local movers to a more flexible moving schedule, among others. At Capital City Transfer, our professional Madison movers have been helping households make smooth transitions during the low season and throughout the rest of the year. We know that a winter move doesn’t have to be a difficult and frustrating as it appears to be—especially if you know how to work around the challenges of winter moving while taking advantage of the benefits of the low season. If you are interested in planning a wintertime move, you’re in the right place. Here are some of our team’s most useful tips for moving in the winter, according to your favorite top-rated movers in Madison. If you want to have a hassle-free move, it is always a good idea to hire professional long distance movers. 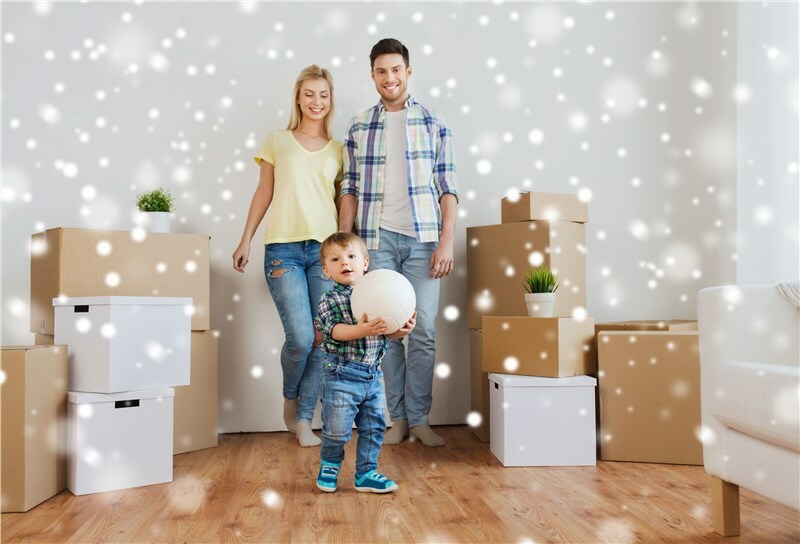 People usually move between the months of May to September when the weather is nice, but a household move in the winter should allow you to enjoy easy booking with top-rated local movers and lower prices for the same quality of service. Additionally, when you hire professional movers in Madison during this quiet season, you will most likely get more personalized attention. Seeking the help of Madison movers with years of experience in moving during this cold season is way more convenient than doing everything on your own because these professionals will know exactly how to deal with the challenge. Stay updated with weather reports, especially during the week and days leading up to your moving day. Lookout for forecasts of extremely harsh weather conditions such as a winter storm, strong cold winds, and heavy snowfall so that you can cancel your planned move and avoid accidents and other sorts of trouble. Because professional local movers have a lighter workload during this season, rescheduling shouldn’t be a problem. Because days are shorter during the winter and you will have fewer daytime hours, it is recommended to start with the process earlier than you would normally do so the move will be complete before it gets dark. It can be slippery and cold outside at night, so it is highly advisable to finish everything you need to do during the daytime hours. Ensure that all your temperature-sensitive items are secured and protected against cold-weather damage. Some of the items susceptible to such damage are glassware and chinaware which may crack with the fluctuations in temperature. It is recommended to put additional packing materials including bubble wraps and packing paper in boxes containing sensitive items such as electronics. For delicate wood furniture and antique items, professionals recommend double-wrapping them. Keep everyone safe by making sure that the sidewalks and your driveway are completely clear of snow and ice. If the ground is slippery, accidents and injuries may occur as your family, and the professional movers move around to carry your stuff to the moving vehicle. When you move during the winter, it is recommended to wear a couple of layers of clothing that you can easily take off if necessary. As cold as it can be outside, moving requires plenty of physical energy—and it’s possible to start to feel quite warm after carrying and loading boxes on moving day. Also, make sure to have cozy winter hats and gloves handy, as well as comfortable winter boots that can provide traction over sidewalks and other slippery outdoor areas. If you are planning a residential move in the Midwest during the winter season and you are looking for reliable expert movers in Madison, Capital City Transfers is the company to call. With our years of experience in the industry, our staff is skilled in assisting you with your move regardless of the weather conditions. For more information, give us a call to speak with a representative about your winter moving project today. You can also fill out our online form to receive a free, in-home pricing estimate and personalized consultation with a moving coordinator, to get started planning your winter move.